One of the most frequent issues couples bring to relationship counselling is that they have difficulty communicating. 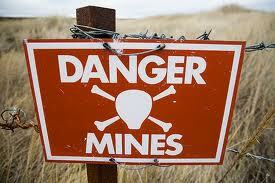 The whole area of communication can seem like a minefield. One wrong step and it all blows up! Sometimes arguments can flare up very quickly, often over silly things. Sometimes couples feel that they have nothing to say to each other. Sometimes couples say that they get on well as long as their communication is about superficial things – but they find it difficult to talk about more serious topics. Sometimes communication is dominated by one of the couple to the exclusion of the other. Counselling can help to improve communications. Just the fact that you are in a neutral environment, talking in front of a third person, can improve things considerably. You may find that you are naturally more courteous and listen better in a counselling session. It is also more difficult for one of you to walk away in the middle of the conversation. Sometimes I find I need to direct the conversations, especially in the early stages of counselling, to make sure that both of the couple get a fair share of air-time, and understand each other’s point of view. But gradually, couples find it much easier to listen to their partner’s point of view, to respect their right to speak, and hence to understand why they might hold a different opinion. This is the first step; generally, as counselling progresses, I find myself needing to intervene in the conversations less and less, and couples are able to talk to each other directly in the counselling room without my help. This opens up the opportunity to talk about those difficult subjects that may have become taboo. With more confidence in your ability to talk, and with help from a counsellor, you can start to walk into the minefield and address the issues that are lying underground. This new way of communicating is then something that a couple can use outside the counselling room. And with this respectful two-way communication, working on problems in the relationship can suddenly become much easier to do. If you and your partner find conversations difficult, but otherwise feel that your relationship is good, you might consider looking at the iPhone app “Couple Talk” that I have developed. It offers over 500 ideas for conversation starters. If you think this might work for you, click on the link to the right. This entry was posted in Relationships and tagged arguments, communication, listening, relationship, respect, understanding. Bookmark the permalink.